Another hard day at work ends with another beautiful sunset in our garden. I took this image of the tap in the middle of the lawn because of the amazing lighting which was created by the sun and the shadow of the tree. 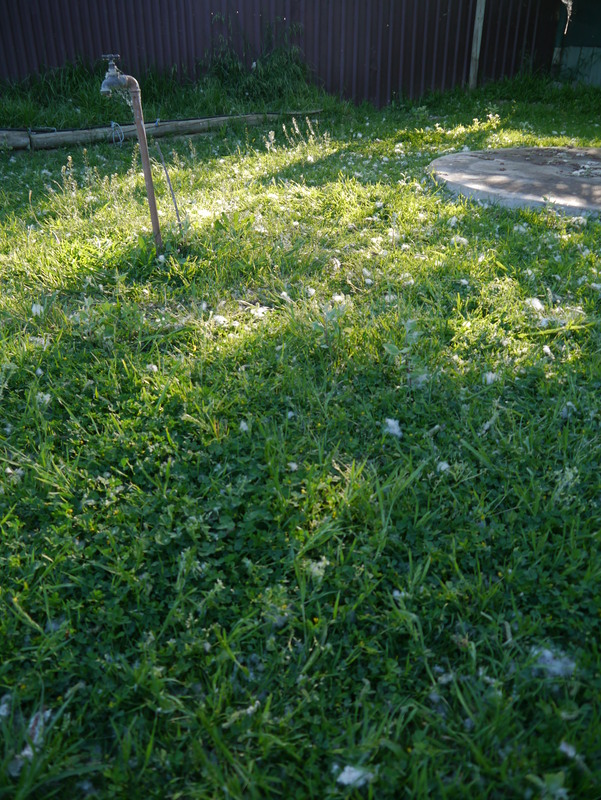 The cotton-like fluff still covers the lawn and this gives the image a magical feel. I am compiling a collection of green images because I love the colour and all of it’s meanings, this image will certainly be part of the series. 17 Oct	This entry was published on 17/10/2012 at 04:32 and is filed under Uncategorized. Bookmark the permalink. Follow any comments here with the RSS feed for this post.